Delivering solutions for Mailers and Shippers is what we are all about! Window Book has enabled over 9,997 companies to produce over $39.5 billion dollars in postage statements and hundreds of millions of dollars in increased profits by using our software since 1988. DAT-MAIL™ is a complete Mailing Data Management software solution that provides real world solutions for any mailer who submits postage statements or Mail.dat® files to PostalOne!® to the USPS®. wbSCAN is a new browser-based application that gets installed on your DATMAIL server (static IP address required). It’s a light-weight web server that interacts with your DAT-MAIL data in real time. wbSCAN supports a variety of popular handheld, table, and desktop devices making it easy for people to use right on their shop floor! YourScore is a unique service, designed and delivered exclusively by Window Book for the mailing industry. YourScore eliminates the painstaking process of logging into the USPS® Business Customer Gateway (BCG) to review your Mailer Scorecard. It also does away with the need to remember to go to the BCG in the first place. YourScore is a simple, but elegant, service that automatically emails YOUR scorecard data to YOU every morning as soon as the USPS updates it. Not only do you receive a color-coded alert to tell you immediately if you have warnings, errors or a clean bill of health, but just click on a link in the email to access a veritable gold mine of actionable data. Test drive YourScore for 30 days to see how easy monitoring your Mailer Scorecard can be – every day! Enter Promo Code FREE30DAYS to start your free, no obligation trial. Window Book's newest smart postal solution, PostalWeb®, completes the PostalOne!® automation circle by providing easy downloading of finalized PostalOne! postage statements directly to your servers, and includes options for email notifications and even emailing of these finalized postage statements! Automatically updates USPS MDR Client software – set it and forget it! Ability to process/upload multiple Mail.dat® files simultaneously, and for one or multiple MDR Client sites -PROD, PREPROD, CAT and TEM. Stages and queues Mail.dat file submissions in the proper sequence AND for optimal upload performance. 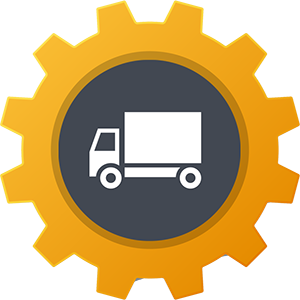 Our distribution optimization tools range from requesting Less-Than-Truckload (LTL) drop shipping quotes right from the DAT-MAIL software, to enhanced connectivity to logistics consolidators for co-palletization and full truckload drop shipping. Plus wbSCAN™ – a web-based scanning application that is quickly/easily installed on your DAT-MAIL server and supports a variety of popular handheld tablet and desktop devices for real-time barcode scanning on your shop floor. DAT-PreCheck displays and validates the Mailer Identification numbers (MIDs) and Customer Registration Identification numbers (CRIDs) of the Mail Owners and Mail Service Providers identified in a Mail.dat® file. Additionally, DAT-PreCheck validates the Nonprofit Authorization Numbers (NPAs) for any mailing claiming nonprofit pricing. It also provides information outlining the Service Type Identifiers (STIDs) populated in the Mail.dat file. The newest addition to this great validation tool is the ability to validate the Labeling List file dates that were used during the presort process. The beauty of all this is that it can be done very quickly – allowing you to save valuable time and money. And the best part is that you get the ability to validate this information before you submit Mail.dat files to PostalOne!®. DAT-MAIL™'s Tagger Interface makes it very easy for the Tagger to use Mail.dat® files. When a Mail.dat® file is imported by DAT-MAIL™ it can even automatically be sent to a folder that is shared with the Tagger. Future features are planned for the DAT-MAIL™ / Tagger interface to enable additional changes to eDocs right from the shop floor! There is a saying that sometimes “The whole is greater than the sum of the parts”. With the new DAT-MAIL™ Tagger Interface, this can now be said of using DAT-MAIL™ with a Tagger. Whether you ship 50 or 15,000 parcels daily—domestic or international— Postal Package Partner™ (PPP™) makes shipping with the US Postal Service as simple as shipping with any other carrier. Postal Package Partner™ Software for Shipping and Manifesting is a Microsoft SQL Server based software package for shippers who pay postage using a postage meter or a permit. You can print shipping labels, calculate postage and special services fees, create and upload postal manifests (Shipping Services Files), print postage statements, track delivery, export package/tracking data, connect to ODBC databases and produce management reports. DAT-MAIL Prep is a simple, fast, easy to use tool that helps you quickly configure your Mail.dat® files BEFORE you import them into ANY post-presort software. Now you can control exactly how your Mail.dat files should be configured via high-speed pre-processing functions. Save time configuring the data within your Mail.dat editing software. Are you confused which product is right for you?